SELLER NOW OFFERING $5000 CONTRIBUTION! USE TO PAY DOWN CLOSING COSTS OR 2 YEARS PREPAID CDD! Imagine preparing gourmet meals in your extended kitchen, while enjoying conversation with your friends and family in this wide-open family room. Slide open the glass triple doors to the large screened patio to truly bring the outdoors in. The wood-burning fireplace is a beautiful focal point. Master suite overlooks the serene backyard, large enough for a future pool or private backyard oasis. Bonus room is a full 6th conforming bedroom with full bathroom, private with door at the top of the stairs. Full laundry room between garage entrance and kitchen, complete with extra drop zone area. 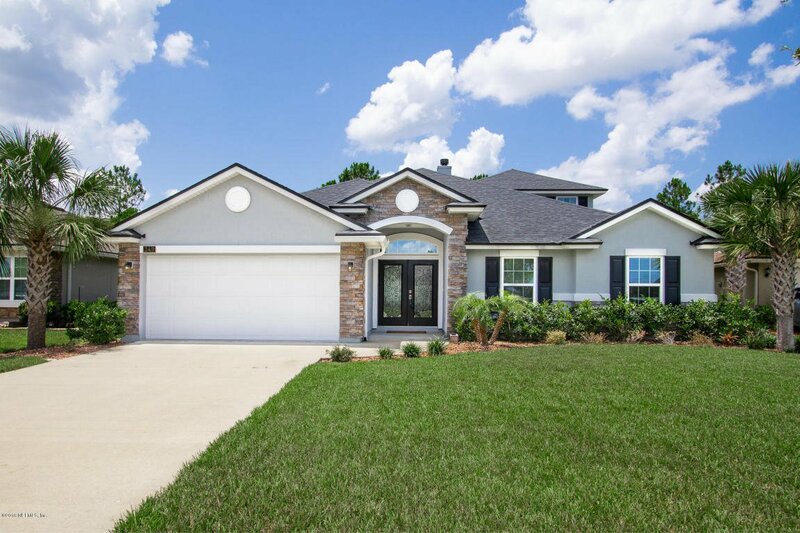 Situated on the corner of a culdesac in Murabella, this home is within walking or biking distance to the community park and playground, with trails that lead to the resort-style amenities center. Listing courtesy of BERKSHIRE HATHAWAY HOMESERVICES, FLORIDA NETWORK REALTY. Selling Office: KELLER WILLIAMS REALTY ATLANTIC PARTNERS SOUTHSIDE.